I have led ladies-only rides for the last four years but this one was going to be my first ‘open’ club ride and, as befits that event, it was preceded by a sleepless night. The MB Swindon Facebook page showed there were three people going (and one of those was me!) so I thought it would be a nice gentle introduction, and ideal for anyone new. 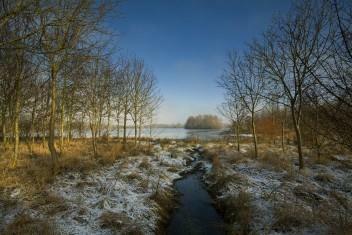 The weather suggested sun most the day and as I set off to the meeting place it was already warming up. I’m happy to say that the ladies’ ride weather appears to be transferable. There were cycle helmets visible from the trail as I pedalled towards the car park so someone had turned up; in fact, ten turned up which was lovely but a little unexpected. Everyone signed in and we took a quick group photo before we set off down the track towards the road that links both parks. 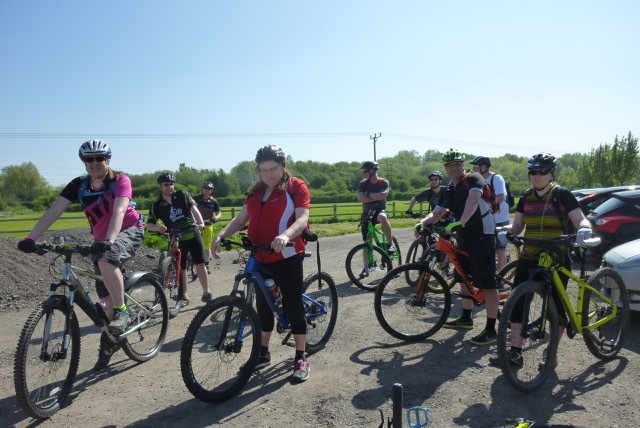 It’s a shame there is no off road section to cut out the tarmac but we split into two groups to keep everything rolling and were fairly quickly at the first part of the cycle way. The Thames path had been impassable for a part of the winter with the usual flooding – with some very deep mud sections – so we attacked the area from the opposite side. With a brief warning about the churned up track, we instantly lost one to it. All well and no damage done, we rode into the nature reserve and whizzed along the gravel path and then out through the kissing gate at the far end with some nifty gate handling skills. 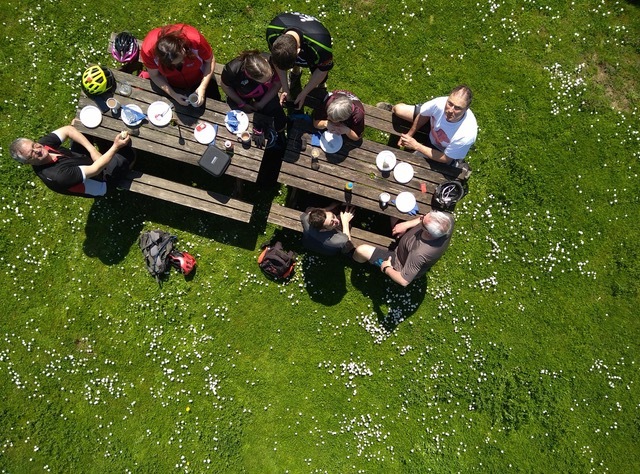 We headed along to the café stop where we took over two picnic benches in the sun. 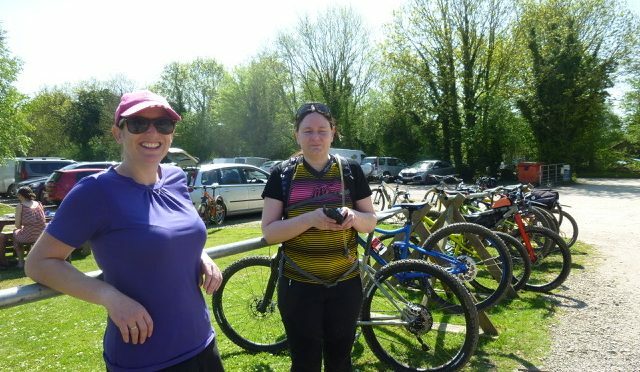 Ladies’ rides usually involve cake; this mixed ride seemed to be a bacon-fest. Rafe demonstrated his ‘flying trivet’. Apparently it wasn’t a standard drone, but it did a good job of photographing us and we spent more time relaxing in the sun as we watched it fly. Turning out of the café, a short paved section led us back to the old railway line and a straight return back to the Cricklade Sports centre. Those speedy ones amongst us took the front and pushed for a Strava section; the rest of us just chatted in the sun as we pedalled. A slightly longer detour, agreed by everyone to take us off the busier road and via a lovely country lane, took us finally back to the car park. Many thanks to the four ladies and six gents that joined me on the ride and especially to Sarah for back marking for me. Housewives’ favourite Kristian Price is leading this ride which starts from the Mouldon hill car park on the edge of Swindon and moves into little visited territory towards the Cotswold water park. 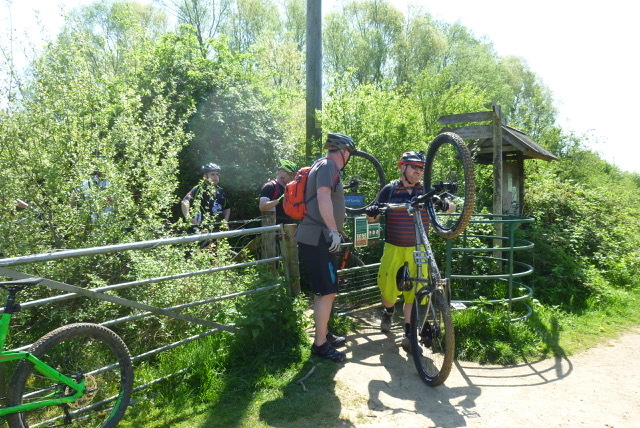 See the ride report from February 2012. Mouldon Hill is planned to be the Southern end of the Swindon and Cricklade railway. The date of this event has been changed from the 16th of Dec to the 9th of Dec.
Kristian price is leading this ride which starts from the Mouldon hill car park on the edge of Swindon and moves into little visited territory towards the Cotswold water park. 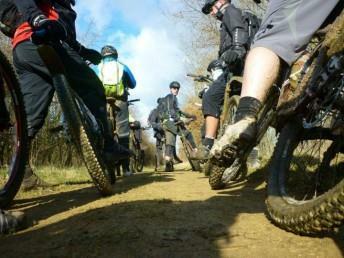 See the ride report from February 2012. After the success of his Castle Combe ride then Kristian has devised another novice-friendly route. This time it starts from the edge of Swindon and moves into little visited territory for us; towards the Cotswold water park.